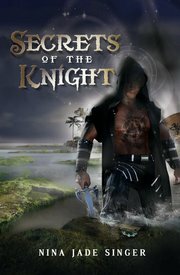 SECRETS OF A KNIGHT by Nina Jade Singer is a paranormal romance story. Thomas Bowden couldn’t handle, when he changed. But how had he changed? Who changed him? He had left his fiancée and his life back in Chicago and moved to a small island in the Caribbean. Once there, he could see in pitch black dark night. He couldn’t stand the daylight now. And he had splitting headaches when he had visions from the future. Then the Police chief called him in! Young tourist girls were being kidnapped from the island. And one of the girl was found alive but she was not talking about what had happened. She just wanted her friend to be called. Her friend, Nicole Balian was Bo’s ex-fiancee! She wanted answers from Bo too. Why did he leave the perfect life with her and get to this tiny island? And what was happening on the island? Why were these young girls being kidnapped? And now who was after Nicole and her unborn child? Most of all, how had Bo become a Knight? Secrets of a Knight is a paranormal story which will keep readers on the edge of their seats and keep turning pages late into the night. It has witty dialogue, humor with steamy sensuality with heart-tugging pathos. Nina Jade Singer brings this paranormal story alive with vivid imaginary. This steamy tale is a gripping story of second chances, past secrets and taking a chance on eternal love!